Every day, your skin can feel tight & be weakened by external aggressions: wind, cold, sun. Shaving can make it even worse with razor burns and redness… Take action! 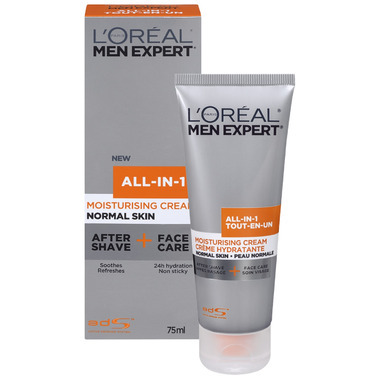 Use L'Oreal Men Expert All-In-1 Moisturizing Cream for Normal Skin which acts as both after shave and face care.